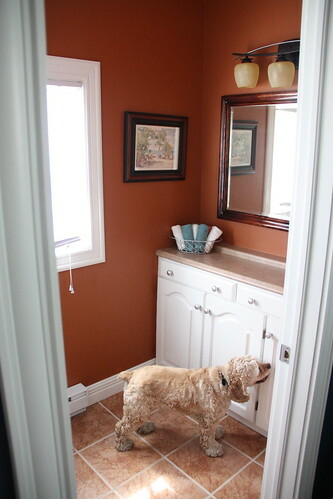 The half bathroom has been an ongoing project for the month of June/July & it's finally complete. Baring a few accessories it's complete in my eyes. 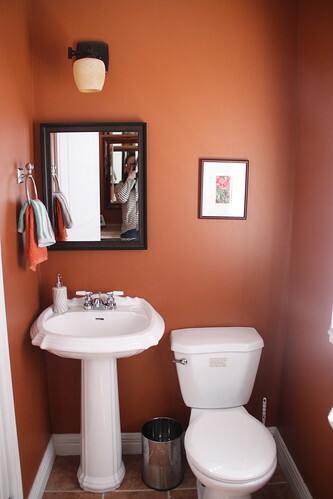 For previous posts on this half bathroom check out this & this & this. And now the big reveal. This room is a long narrow rectangle with the window opposite the door. The door opens from the dining room area which is painted Benjamin Moore's Newberryport, a deep nautical blue. There are esentailly two 'walls' to photograph. 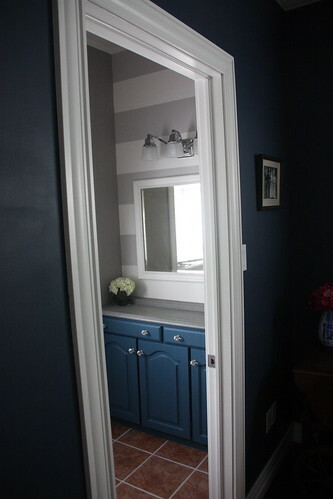 Stipes & dark blue cupboards with glass knobs. 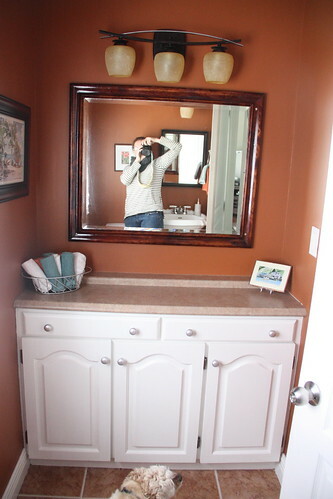 And look at that counter- it ain't orange anymore! Those orange accessories aren't necessarily staying. 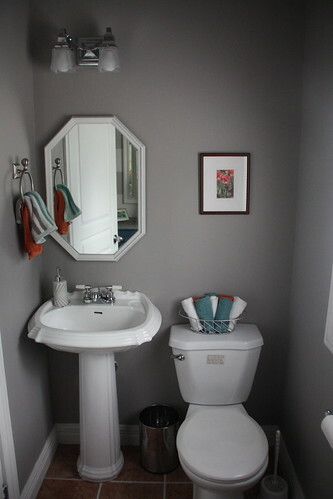 I do love the octagonal mirror-thrifted for $5 and then painted. 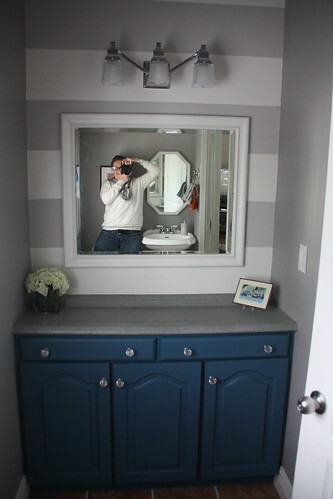 I need to do a little shopping for some new towels-maybe in a gray chevron or a bold bright blue like the cupboards. 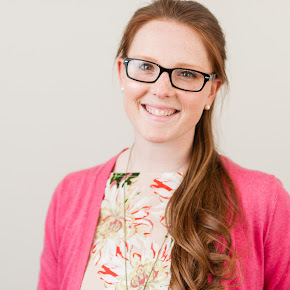 Krista - it's absolutely gorgeous! Great job! !